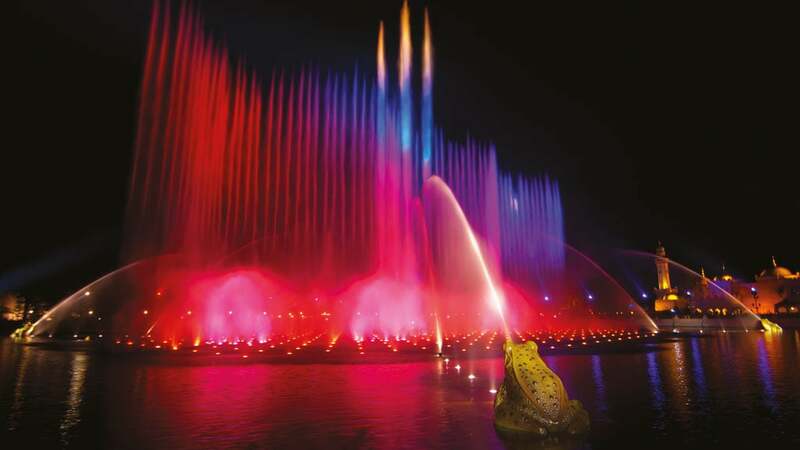 Four frogs turn the pond into a giant water ballet and bring Efteling fairy tales to life. 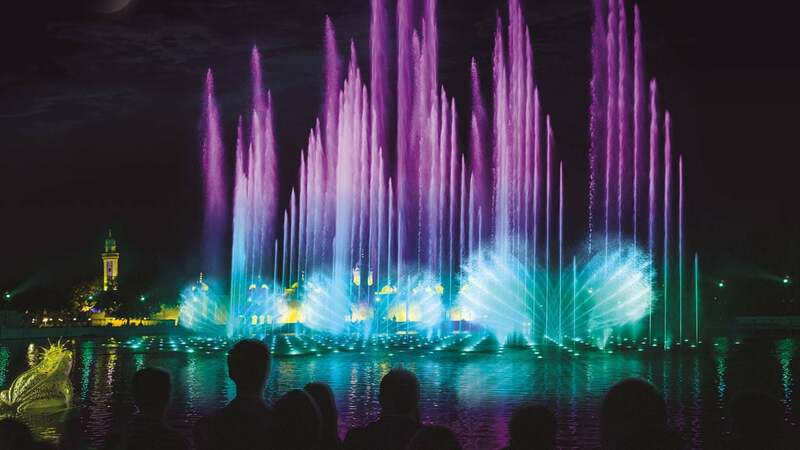 Experience this spectacular show - a symbiosis of water, fire and light, accompanied by Efteling melodies. More than 200 fountains and 900 lights transport you to another level during this 12-minute Efteling Medley. 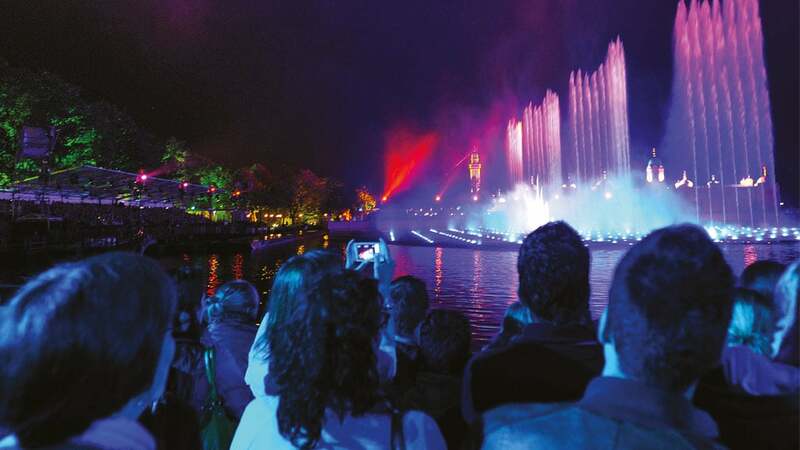 Download the Efteling app to know the exact showtimes of Europe's most spectacular water show. You can attend this water show. Park maps are available at the entrance of the Efteling. From there, it’s less than a 5 minute walk to Aquanura. 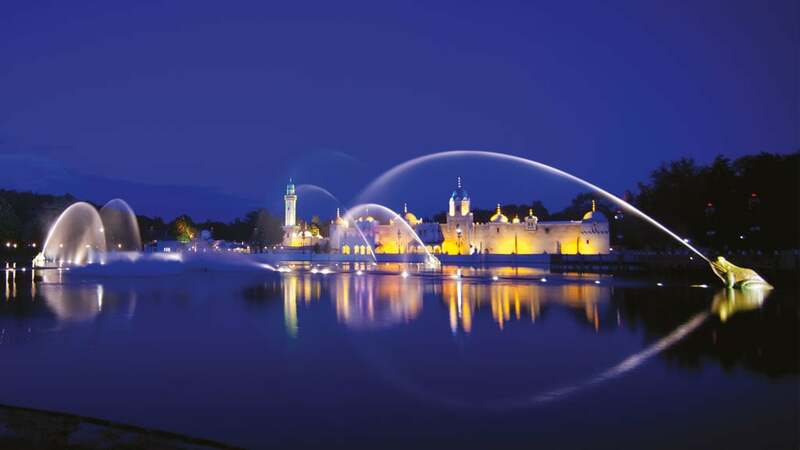 And book an overnight stay at the Efteling Hotel or Efteling Village Bosrijk. Access to the park is included during your stay.